The French and Indian War ends. The Seven Years’ War, a global conflict known in America as the French and Indian War, ends with the signing of the Treaty of Paris by France, Great Britain, and Spain. In the early 1750s, France’s expansion into the Ohio River valley repeatedly brought the country into armed conflict with the British colonies. In 1756, the British formally declared war against France. In the first year of the war, the British suffered a series of defeats at the hands of the French and their broad network of Native American alliances. However, in 1757, British Prime Minister William Pitt (the older) recognized the potential of imperial expansion that would come out of victory against the French and borrowed heavily to fund an expanded war effort. Pitt financed Prussia’s struggle against France and her allies in Europe and reimbursed the colonies for the raising of armies in North America. By 1760, the French had been expelled from Canada, and by 1763 all of France’s allies in Europe had either made a separate peace with Prussia or had been defeated. In addition, Spanish attempts to aid France in the Americas had failed, and France also suffered defeats against British forces in India. The Seven Years’ War ended with the signing of the treaties of Hubertusburg and Paris in February 1763. In the Treaty of Paris, France lost all claims to Canada and gave Louisiana to Spain, while Britain received Spanish Florida, Upper Canada, and various French holdings overseas. The treaty ensured the colonial and maritime supremacy of Britain and strengthened the 13 American colonies by removing their European rivals to the north and the south. Fifteen years later, French bitterness over the loss of most of their colonial empire contributed to their intervention in the American Revolution on the side of the Patriots. Virgin Mary appears to St. Bernadette. President Bill Clinton acquitted on both articles of impeachment. In late July, lawyers for Lewinsky and Starr worked out a full immunity agreement covering both Lewinsky and her parents, all of whom Starr had threatened with prosecution. On August 6, Lewinsky appeared before the grand jury to begin her testimony, and on August 17 President Clinton testified. Contrary to his testimony in the Paula Jones sexual-harassment case, President Clinton acknowledged to prosecutors from the office of the independent counsel that he had an extramarital affair with Ms. Lewinsky. Five weeks later, on February 12, the Senate voted on whether to remove Clinton from office. The president was acquitted on both articles of impeachment. The prosecution needed a two-thirds majority to convict but failed to achieve even a bare majority. Rejecting the first charge of perjury, 45 Democrats and 10 Republicans voted “not guilty” and on the charge of obstruction of justice, the Senate was split 50-50. After the trial concluded, President Clinton said he was “profoundly sorry” for the burden his behavior imposed on Congress and the American people. I'm not sure how much I noticed the conclusion of that affair beyond that it had concluded. By Feb. 12, my then-pregnant wife had only a month to go until her due date. We had bigger things than presidential impeachments in mind. First Medal of Honor action. The earliest military action to be revered with a Medal of Honor award is performed by Colonel Bernard J.D. Irwin, an assistant army surgeon serving in the first major U.S.-Apache conflict. Near Apache Pass, in southeastern Arizona, Irwin, an Irish-born doctor, volunteered to go to the rescue of Second Lieutenant George N. Bascom, who was trapped with 60 men of the U.S. Seventh Infantry by the Chiricahua Apaches. Irwin and 14 men, initially without horses, began the 100-mile trek to Bascom’s forces riding on mules. After fighting and capturing Apaches along the way and recovering stolen horses and cattle, they reached Bascom’s forces on February 14 and proved instrumental in breaking the siege. 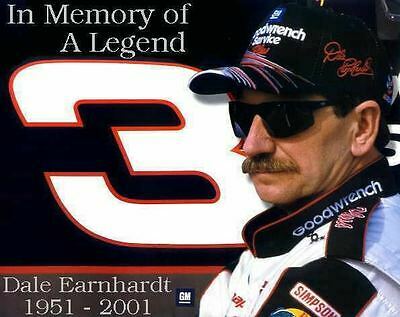 this day in 2001, Dale Earnhardt Sr., considered one of the greatest drivers in National Association for Stock Car Auto Racing (NASCAR) history, dies at the age of 49 in a last-lap crash at the 43rd Daytona 500 in Daytona Beach, Florida. Earnhardt was driving his famous black No. 3 Chevrolet and vying for third place when he collided with another car, then crashed into a wall. After being cut from his car, Earnhardt, whose tough, aggressive driving style earned him the nickname “The Intimidator,” was taken to a hospital, where he was pronounced dead of head injuries. His death brought about major changes in the safety of the drivers . Today, Tuesday 19th February 2019 one of the most wonderful men that ever lived passed away. 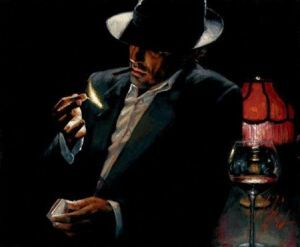 In his world, where to be gay was acceptable but to be kind hearted was not, he hid his true self from all but a few. He was the kindest of souls, the most intelligent and caring of men. Wonderful people leave wonderful legacies. His will both sad and wonderful, wonderful that his legacy will be style and its personification, sad that his character will be the subject of conjecture for ages. I owe him sooo much, God bless. At least the world will remember him as a genius, but he was so much more. All my love Karl and God's speed to Jacques. Karl Lagerfeld, September 10th 1933 .. until today. Aaron Burr arrested for treason. Aaron Burr, a former U.S. vice president, is arrested in Alabama on charges of plotting to annex Spanish territory in Louisiana and Mexico to be used toward the establishment of an independent republic. In November 1800, in an election conducted before presidential and vice-presidential candidates shared a single ticket, Thomas Jefferson and his running mate, Aaron Burr, defeated Federalist incumbent John Adams with 73 electoral votes each. The tie vote then went to the House to be decided, and Federalist Alexander Hamilton was instrumental in breaking the deadlock in Jefferson’s favor. Burr, because he finished second, became vice president. During the next few years, President Jefferson grew apart from his vice president and did not support Burr’s renomination to a second term in 1804. A faction of the Federalists, who had found their fortunes drastically diminished after the ascendance of Jefferson, sought to enlist the disgruntled Burr into their party. However, Alexander Hamilton opposed such a move and was quoted by a New York newspaper saying that he “looked upon Mr. Burr to be a dangerous man and one who ought not to be trusted with the reins of government.” The article also referred to occasions when Hamilton had expressed an even “more despicable opinion of Burr.” Burr demanded an apology, Hamilton refused, so Burr challenged his old political antagonist to a duel. On July 11, 1804, the pair met at a remote spot in Weehawken, New Jersey. Hamilton, whose son was killed in a duel in 1801, deliberately fired into the air, but Burr fired with intent to kill. Hamilton, fatally wounded, died in New York City the next day. The questionable circumstances of Hamilton’s death effectively brought Burr’s political career to an end. Fleeing to Virginia, he traveled to New Orleans after finishing his term as vice president and met with U.S. General James Wilkinson, who was an agent for the Spanish. The exact nature of what the two plotted is unknown, but speculation ranges from the establishment of an independent republic in the American Southwest to the seizure of territory in Spanish America for the same purpose. In the fall of 1806, Burr led a group of well-armed colonists toward New Orleans, prompting an immediate investigation by U.S. authorities. General Wilkinson, in an effort to save himself, turned against Burr and sent dispatches to Washington accusing Burr of treason. On February 19, 1807, Burr was arrested in Alabama for treason and sent to Richmond, Virginia, to be tried in a U.S. circuit court. On September 1, 1807, he was acquitted on the grounds that, although he had conspired against the United States, he was not guilty of treason because he had not engaged in an “overt act,” a requirement of treason as specified by the U.S. Constitution. Nevertheless, public opinion condemned him as a traitor, and he spent several years in Europe before returning to New York and resuming his law practice. The Washington Monument, built in honor of America’s revolutionary hero and first president, is dedicated in Washington, D.C. The 555-foot-high marble obelisk was first proposed in 1783, and Pierre L’Enfant left room for it in his designs for the new U.S. capital. After George Washington’s death in 1799, plans for a memorial for the “father of the country” were discussed, but none were adopted until 1832–the centennial of Washington’s birth. Architect Robert Mills’ hollow Egyptian obelisk design was accepted for the monument, and on July 4, 1848, the cornerstone was laid. Work on the project was interrupted by political quarreling in the 1850s, and construction ceased entirely during the American Civil War. Finally, in 1876, Congress, inspired by the American centennial, passed legislation appropriating $200,000 for completion of the monument. In February 1885, the Washington Monument was formally dedicated, and three years later it was opened to the public, who were permitted to climb to the top of the monument by stairs or elevator. The monument was the tallest structure in the world when completed and remains today, by District of Columbia law, the tallest building in the nation’s capital. The U.S. House of Representatives votes 11 articles of impeachment against President Andrew Johnson, nine of which cite Johnson’s removal of Secretary of War Edwin M. Stanton, a violation of the Tenure of Office Act. The House vote made President Johnson the first president to be impeached in U.S. history. At the outbreak of the Civil War in 1861, Andrew Johnson, a senator from Tennessee, was the only U.S. senator from a seceding state who remained loyal to the Union. In 1862, President Abraham Lincoln appointed him military governor of Tennessee, and in 1864 he was elected vice president of the United States. Sworn in as president after Lincoln’s assassination in April 1865, President Johnson enacted a lenient Reconstruction policy for the defeated South, including almost total amnesty to ex-Confederates, a program of rapid restoration of U.S.-state status for the seceded states, and the approval of new, local Southern governments, which were able to legislate “Black Codes” that preserved the system of slavery in all but its name. The Republican-dominated Congress greatly opposed Johnson’s Reconstruction program and in March 1867 passed the Tenure of Office Act over the president’s veto. The bill prohibited the president from removing officials confirmed by the Senate without senatorial approval and was designed to shield members of Johnson’s Cabinet like Secretary of War Edwin M. Stanton, who had been a leading Republican radical in the Lincoln administration. In the fall of 1867, President Johnson attempted to test the constitutionality of the act by replacing Stanton with General Ulysses S. Grant. However, the U.S. Supreme Court refused to rule on the case, and Grant turned the office back to Stanton after the Senate passed a measure in protest of the dismissal. On February 21, 1868, Johnson decided to rid himself of Stanton once and for all and appointed General Lorenzo Thomas, an individual far less favorable to the Congress than Grant, as secretary of war. Stanton refused to yield, barricading himself in his office, and the House of Representatives, which had already discussed impeachment after Johnson’s first dismissal of Stanton, initiated formal impeachment proceedings against the president. On February 24, Johnson was impeached, and on March 13 his impeachment trial began in the Senate under the direction of U.S. Supreme Court Chief Justice Salmon P. Chase. The trial ended on May 26 with Johnson’s opponents narrowly failing to achieve the two-thirds majority necessary to convict him. Legal Tender Act passed to help finance the Civil War. Soon after the war began, the federal government began to run low on money. Several proposals involving the use of bonds were suggested. Finally, Congress began printing money, which the Confederate government had been doing since the beginning of the war. The Legal Tender Act allowed the government to print $150 million in paper money that was not backed by a similar amount of gold and silver. Many bankers and financial experts predicted doom for the economy, as they believed there would be little confidence in the scheme. There were also misgivings in Congress, as many legislators worried about a complete collapse of the nation’s financial infrastructure. Another legal tender act passed in 1863, and by war’s end, nearly a half-billion dollars in greenbacks had been issued. The Legal Tender Act laid the foundation for the creation of a permanent currency in the decades after the Civil War. US President John F. Kennedy sends out a call to young Americans to travel to foreign lands, especially poor and developing nations, to offer humanitarian assistance. By the early 21st century, more than 200,000 will have volunteered for the Peace Corps and served in 140 countries. Congress abolishes the African slave trade. “The Star-Spangled Banner” becomes official. On this day Members of the 9th US Marine Expeditionary Force go ashore at Da Nang, South Vietnam. Ordered in to beef up the defenses of the air base. The 3,500 Marines dispatched marked the start of the ground war in Vietnam. On this day in 1669, Mount Etna, on the island of Sicily in modern-day Italy, begins rumbling. Multiple eruptions over the next few weeks killed more than 20,000 people and left thousands more homeless. Most of the victims could have saved themselves by fleeing, but stayed, in a vain attempt to save their city. Mount Etna dominates the island of Sicily. Rising 11,000 feet above sea level in the northeast section of Sicily, it can be seen from just about every part of the 460-square-mile island. The geologic history of Mount Etna demonstrates that it has been periodically spewing ash and lava for thousands of years; the first recorded eruption of the volcano was in 475 BCE. It is the most active volcano in Europe. In 1169, an earthquake just prior to an eruption killed 15,000 people on Sicily. Despite the dangers of living near an active volcano, the eruptions made the surrounding soil very fertile, so many small villages developed on the slopes of the mountain. When Etna began to rumble and belch gas on March 8, the residents nearby ignored the warning signs of a larger eruption. Three days later, the volcano began spewing out noxious fumes in large quantities. Approximately 3,000 people living on the slopes of the mountain died from asphyxiation. Even worse, Etna was soon emitting tremendous amounts of ash and molten lava. The ash was sent out with such force that significant amounts came down in the southern part of mainland Italy, in some cases nearly 100 miles away. Lava also began pouring down the south side of the mountain heading toward the city of Catania, 18 miles to the south along the sea. At the time, the city of Catania had about 20,000 residents; most failed to flee the city immediately. Instead, Diego de Pappalardo, a resident of the city, led a team of 50 men to Mount Etna, where they attempted to divert the lava flow. Wearing cowhides soaked in water, the men bravely approached the lava with long iron rods, picks and shovels. They were able to hack open a hole in the hardened lava wall that had developed on the outside of the lava flow and much of the flow began to flow west out of the new hole. However, the residents of Paterno, a city lying southwest of Etna were monitoring these developments and quickly realized that this new flow direction could imperil their own city. They literally fought back the Catanians, while the lava breach hardened and filled again. For several weeks, the lava pushed toward Catania and the sea. Still, the residents failed to evacuate the city. Apparently, they remained hopeful that the lava would stop or the city’s ancient defensive walls would protect them. Neither was the case—the walls were quickly swallowed by the extremely hot lava and nearly 17,000 people in Catania died. Most of the city was destroyed. Catania was not the only city affected—the eruption wiped out 14 towns and villages and left about 27,000 people homeless. Following this disaster, it was decreed that interference with the natural flow of lava was prohibited in Italy, a regulation that remained in effect hundreds of years later. James Earl Ray pleads guilty to the assassination of African American civil rights leader Martin Luther King Jr. and is sentenced to 99 years in prison. On April 4, 1968, in Memphis, Tennessee, King was fatally wounded by a sniper’s bullet while standing on the balcony outside his second-story room at the Motel Lorraine. That evening, a Remington .30-06 hunting rifle was found on the sidewalk beside a rooming house one block from the Lorraine Motel. Over the next several weeks, the rifle, eyewitness reports, and fingerprints on the weapon all implicated a single suspect: escaped convict James Earl Ray. A two-bit criminal, Ray escaped a Missouri prison in April 1967 while serving a sentence for a holdup. In May 1968, a massive manhunt for Ray began. The FBI eventually determined that he had obtained a Canadian passport under a false identity, which at the time was relatively easy. On June 8, Scotland Yard investigators arrested Ray at a London airport. Ray was trying to fly to Belgium, with the eventual goal, he later admitted, of reaching Rhodesia. Rhodesia, now called Zimbabwe, was at the time ruled by an oppressive and internationally condemned white minority government. Extradited to the United States, Ray stood before a Memphis judge in March 1969 and pleaded guilty to King’s murder in order to avoid the electric chair. He was sentenced to 99 years in prison. Three days later, he attempted to withdraw his guilty plea, claiming that he was innocent of King’s assassination and had been set up as a patsy in a larger conspiracy. He claimed that in 1967 a mysterious man named “Raoul” had approached him and recruited him into a gunrunning enterprise. On April 4, 1968, however, he realized that he was to be the fall guy for the King assassination and fled for Canada. Ray’s motion was denied, as were his dozens of other requests for a trial over the next 29 years. During the 1990s, the widow and children of Martin Luther King, Jr. spoke publicly in support of Ray and his claims, calling him innocent and speculating about an assassination conspiracy involving the U.S. government and military. U.S. authorities were, in conspiracists’ minds, implicated circumstantially. FBI Director J. Edgar Hoover obsessed over King, who he thought was under communist influence. For the last six years of his life, King underwent constant wiretapping and harassment by the FBI. Before his death, Dr. King was also monitored by U.S. military intelligence, who may have been called to watch over King after he publicly denounced the Vietnam War in 1967. Furthermore, by calling for radical economic reforms in 1968, including guaranteed annual incomes for all, King was making few new friends in the Cold War-era U.S. government. Over the years, the assassination has been reexamined by the House Select Committee on Assassinations, the Shelby County, Tennessee, district attorney’s office, and three times by the U.S. Justice Department. All of these investigations have ended with the same conclusion: James Earl Ray killed Martin Luther King. The House committee acknowledged that a low-level conspiracy might have existed, involving one or more accomplices to Ray, but uncovered no evidence to definitively prove this theory. In addition to the mountain of evidence against him, such as his fingerprints on the murder weapon and admitted presence at the rooming house on April 4, Ray had a definite motive in assassinating King: hatred. According to his family and friends, he was an outspoken racist who told them of his intent to kill Martin Luther King. He died in 1998. Confederate states adopt a new constitution. The constitution resembled the Constitution of the United States, even repeating much of its language, but was actually more comparable to the Articles of Confederation–the initial post-Revolutionary War U.S. constitution–in its delegation of extensive powers to the states. The constitution also contained substantial differences from the U.S. Constitution in its protection of slavery, which was “recognized and protected” in slave states and territories. However, in congruence with U.S. policy since the beginning of the 19th century, the foreign slave trade was prohibited. The constitution provided for six-year terms for the president and vice president, and the president was ineligible for successive terms. Although a presidential item veto was granted, the power of the central Confederate government was sharply limited by its dependence on state consent for the use of any funds and resources.